Born in a small central Queensland town, Dymphna began her working life as a jillaroo. At the age of four, she invested in a cow which she bred with neighbouring cattle to create her first asset portfolio – a herd. Dymphna sold her herd to pay her way through the Australian National University in Canberra from where she graduated with a degree in Accounting and Economics. On graduation, with fifteen job offers to choose from, she decided to move to Sydney and work with the prestigious Coopers & Lybrand (one of the world’s biggest accountancy firms). She also did stints as a financial controller in the liquor, mining, stockbroking and finance industries. In 1994, she found herself ‘starting over’ after a divorce left her on her own with very little money, a young child to support and another one on the way. To get back on her feet, she moved to the Sunshine Coast and started her own accountancy practice, Active Financial Answers, which she has since sold. In the year 2000, Dymphna met U.S. property guru and real estate adviser to Robert Kiyosaki, Dr Dolf de Roos. Listening to him speak on stage, Dymphna realised she was doing exactly what he was warning against – ‘trading time for money’. 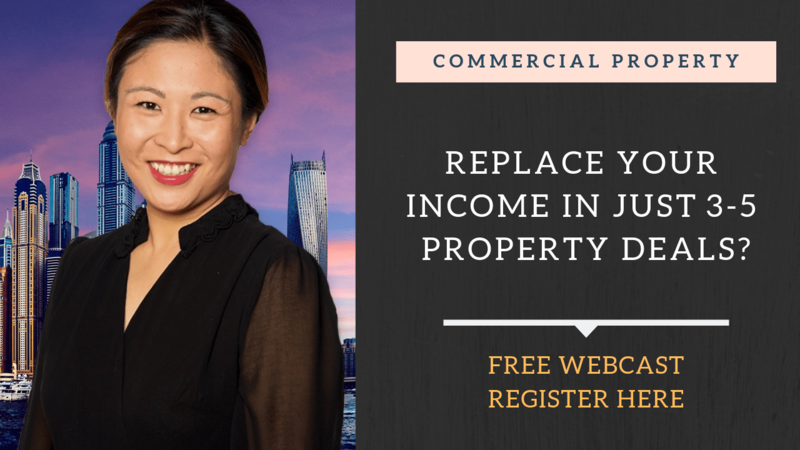 Keen to escape the constraints of a solo mum with a full-time job, she decided to try her hand at real estate investment. She focused on properties that brought in more than they cost. Within just one year, she’d accumulated a $3.5 million property portfolio boasting $1.55 million in equity and had totally replaced the income she had been earning as an accountant working 40 to 60 hours a week. Through just one property purchase, she managed to generate a passive income greater than the average Australian wage. Since that time, she has become firm friends with Dr de Roos. Her property portfolio has expanded into a multi-million dollar international property portfolio. Dymphna is in great demand nationally and internationally as a speaker on a multitude of topics, most of which fall under the headings of personal finance, business, taxation, asset protection, property investing or motivation and inspiration. She is regularly called on by the media for interviews or to contribute articles – see her website for her extensive list of media coverage. She is the author of four books specifically aimed at helping others succeed as estate investors – Confessions of a Real Estate Millionaire, Tax Secrets of a Real Estate Millionaire, Asset Protection Secrets of a Real Estate Millionaire and 101 Top Ten Tips for Real Estate Success. Dymphna is also responsible for some of the best-selling training and coaching curriculums for rookie investors who want to immerse themselves and learn from some of the most successful mentors and coaches in the field. Another of Dymphna’s innovations is the I Love Real Estate network, a community of like-minded investors who get together to help each other grow and achieve greater success. The now happily remarried mother of three lives on the beautiful Sunshine Coast in what she describes as her “thirty-two-acre piece of paradise”, completely surrounded by rainforest with its lush vegetation, babbling creeks and abundant wildlife.